Could 'Zorro' Finally Get the Film Adaptation He Deserves After 100 Years of Whitewashing? It was announced Thursday that the long-in-development post-apocalyptic take on 'Zorro' got a writer and director in Jonas Cuaron. The son of director Alfonso Cuaron (Children of Men, Harry Potter and the Prisoner of Azkaban) and co-writer of the Oscar-winning film Gravity, will be "starting from scratch" and eschewing the dystopian angle with a "near future" approach instead. The Mexican filmmaker will have an opportunity to do the swashbuckling defender of the oppressed justice with an appropriate adaptation that's been lacking in 100 years of the pulp character's history. The junior Cuaron is blazing his own path as a director with Desierto, winner of the International Critics’ Award at the 2015 Toronto Film Festival. The thriller stars Gael Garcia Bernal and Jeffrey Dean Morgan. Bernal leads a group of migrants across the U.S.-Mexico border into rough unforgiving terrain when a psychotic sniper and his vicious dog begin to terrorize and hunt them. The film is due out in March. 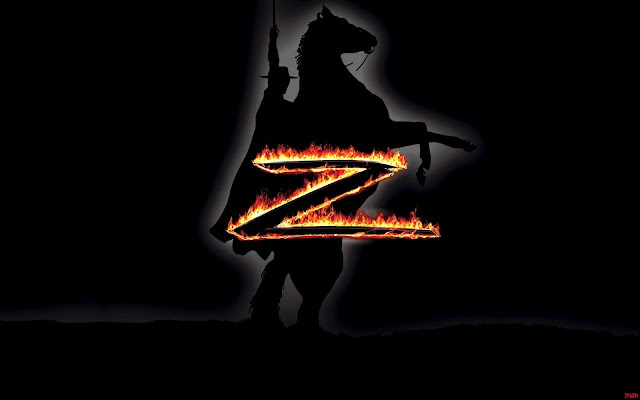 Initially, Lantica Media was going to finance 'Zorro Reborn' with a post-apocalyptic twist to the character instead of the traditional story set in 19th century Mexican-led California. When that stalled and Sobini Films stepped in to produce they looked towards an up-and-coming filmmaker whose perspective and vision could help reinvigorate the project. It doesn't hurt either to have a Mexican writer tell the story of a Latino fighting injustice against corruption using the Spanish moniker for a fox. Created in 1919 by Johnston McCulley, Zorro was the alter ego of Californio nobleman Don Diego de la Vega living in the pueblo of Los Angeles during the Mexican-led rule on the early 1800s. Some of these details changed over the years but the basic story elements of a seemingly pompous nobleman, aloof and selfish, secretly battled tyrannical officials and other oppressors of the poor by becoming a dashing and cunning avenger clad in a black mask, black cape, black flat-brimmed hat wielding a rapier, etching the letter "z" on his vanquished opponents. It's no wonder that Zorro was one of the influences for Batman according to co-creator Bob Kane. As a kid, I was a movie buff. One of my favorites was The Mark of Zorro, with Douglas Fairbanks Sr. Zorro had the dual identity. By day, like Bruce Wayne, he feigned being a bored, foppish count, the son of one of the richest families in Mexico. By night, he became a vigilante. He would disguise himself, wearing a handkerchief mask with the eyes slit out. He exited on a black horse from a cave underneath his home, and that's the inspiration for the Batcave and the Batmobile. Fairbanks himself read the original story McCulley had written, "The Curse of Capistrano," in a pulp magazine and quickly adapted a screenplay and produced it as a silent film in 1920 making him a popular cinematic swashbuckler from then on. It didn't matter that Fairbanks wasn't Latino and neither were most of the cast members. And sadly, it hasn't mattered the forty times it's been adapted to film since. Television versions haven't fared much better. In fact, Zorro wasn't played by a Hispanic until 1953 (in a Spanish film), a Mexican until 1976 (in a Mexican film), and in 1998 the American production of 'The Mask of Zorro' finally cast a Hispanic in the leading role with Hollywood's go-to catchall for characters with Spanish surnames, Antonio Banderas. The talented and charming Spanish actor actually played the heir apparent to the older original Zorro, Don Diego de la Vega, played by...Anthony Hopkins. His love interest was Elena de la Vega played by Catherine Zeta-Jones. While the film was entertaining and many of the supporting actors were Latino the fact that main characters were still "brownfaced" to appeal to general audiences; i.e. white audiences, is just another example of the industry's blatant and casual racist appropriation of a culture so it doesn't alienate white moviegoers at the cost of authenticity. And at the expense of capable Latino actors. Hopkins and Zeta-Jones are fine actors but they're not Latinos. Neither were Fairbanks, Guy Williams, Robert Livingston, Tyrone Power, Frank Langella, and George Hamilton. Even Banderas, as charismatic and engaging as he is, is not Mexican or Mexican-American. The creation of Zorro was inspired in part by real life Mexican "Robin Hoods" Juan Nepomuceno Cortina and Joaquin Murrieta who fought encroaching Anglo settlers and corruption that saw their lands taken away during the 1800s. And yet despite these popular folk heroes, they as well as the fictional Don Diego de la Vega, are once again victim to appropriation. 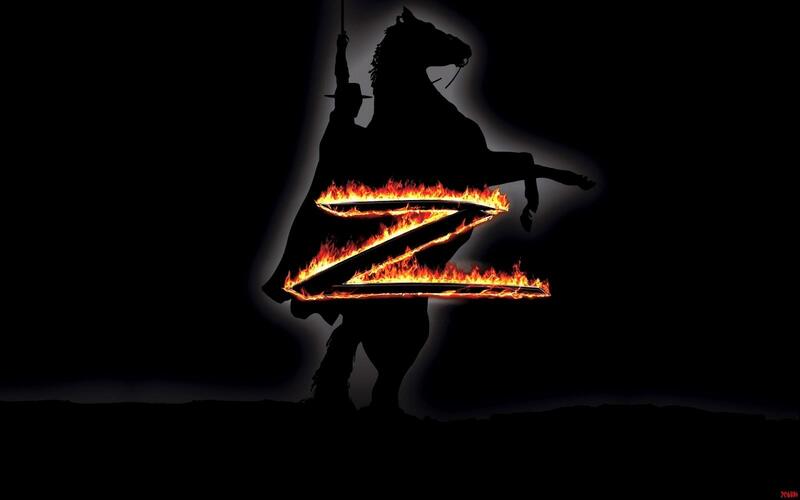 Bernal had been tied to the 'Zorro Reborn' project and its unclear if he's still attached or if he'll remain with his Desierto director on the revamped film tentatively titled, 'Z.' Production is slated to begin this summer at the Pinewood Dominican Republic Studios. It would make Bernal the first Mexican actor in an American film production of 'Zorro' to appear as the lead in the history of the character. In a time when people are waking up to the disparity in Hollywood between white actors/writers/directors/producers and minorities of every kind having a Mexican director-writer with a Mexican lead in an American 'Zorro' movie is a small victory for diversity but an important one that is decades overdue. It's a microcosm of how stories get told in Hollywood. Behind the glamour and glitz of premieres and awards are the gatekeepers that maintain the status quo based on racist attitudes that have been ingrained in the film industry since the beginning. The hashtag #OscarsSoWhite is just the latest reminder that behind the lack of diversity of the Academy Awards nominations is a system rigged to reward the best and whitest. Having white actors portray a Mexican or Spanish Zorro for nearly 100 years in film and television was no accident it was business as usual. I'm hoping Cuaron's vision will finally give the legendary Latino hero the culturally authentic treatment he deserves.